Whether you have taken up running to lose weight, to improve fitness or to relieve stress , you will find that there are many benefits. When it comes to running, it is important to fill your body with a good quality diet that can help sustain your energy levels. It is important to eat a balanced diet that includes carbohydrate, protein and fat. Carbohydrate foods help you maintain your energy during a run and they should be eaten both before and after. The highest quality carbohydrates are rich in fibre which helps to keep you feeling full. 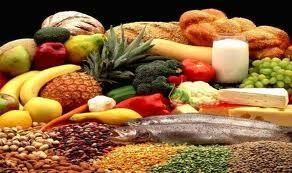 Carbohydrates to choose from include whole wheat pasta, potatoes, wholegrain rice and bread. Protein is essential for muscle and satisfies hunger by providing a feeling of fullness. Quality sources of protein include skinless turkey and chicken, fish fillet, egg whites, low fat cheese, low fat yoghurt and skimmed/semi-skimmed milk. While most runners are looking to cut out fat, it is important to remember that you need to include some fat in your diet. However, the fat should be of the healthy variety such as olive oil, unsalted nuts, avocados, sunflower seeds, light mayonnaise and fat-free salad dressings are good fat sources for runners. In terms of an eating routine, it is better to eat smaller portions more often than larger portions three times a day. Also, remember to drink water regularly. Even if work or taking care of the kids makes breakfast a difficult time to sit down and eat, don’t go hungry. At the very least, eat some fruit on the move. Do you usually wear green on St. Patrick’s Day? 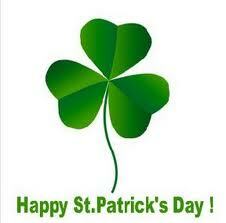 It is a fun tradition, but this year take it a step further and make an effort to eat green foods as well. It is easy to come up with some green foods to try but here are some ideas to get you started. For breakfast prepare a spinach omelette, by scrambling eggs and added some fresh or thawed frozen spinach to it. Or maybe try some pancakes with some sliced of green apple or kiwi. How about having a green salad for lunch? Add some chicken or ham and cheese to make it more filling. For dinner, try some grilled chicken and potatoes with a big serving of steamed broccoli. Why not keep the green theme for dessert? Try some green sugar free jelly or fruit salad made with mostly green fruit would be another great dessert idea. You are currently browsing the Nutritional Concepts Tips and Advice Blog blog archives for March, 2011.